Metal Hammer, more commonly referred to as Metal Hammer Magazine, is a once a month publication highlighting heavy metal music, as well as rock music. Being published in the UK by Future, it is mainly known in the United Kingdom, as well as the surrounding countries. What makes Metal Hammer Magazine such a big deal is that they are always on the lookout to publish information about both mainstream bands, as well as the less known, more unusual acts. However, don’t expect to find yourself featured in this magazine unless you are playing some type of heavy metal music. Back on December 19, 2016, the owner of Metal Hammer at the time, TeamRock, was unfortunately forced to lay off 73 hard working employees. This is due to the publication falling on tough times from lack of mainstream sales. In fact, all of the magazines owned by TeamRock, including Metal Hammer, were forced to end their publications. However, on January 8, 2017, Metal Hammer, along with all of the other TeamRock magazines, was bought by the previous owners of the magazines, Future Publishing. The total price for all 3 of the magazines that included Metal Hammer, Prog, and Classic Rock, was an astounding 800,000 pounds. That is good news as later on, on March 27, 2018, the entire family of magazine publications that included Metal Hammer, would be re-branded and then become one of the magazine publications to be covered by the umbrella ‘Louder’, also known by some as Louder Sound. 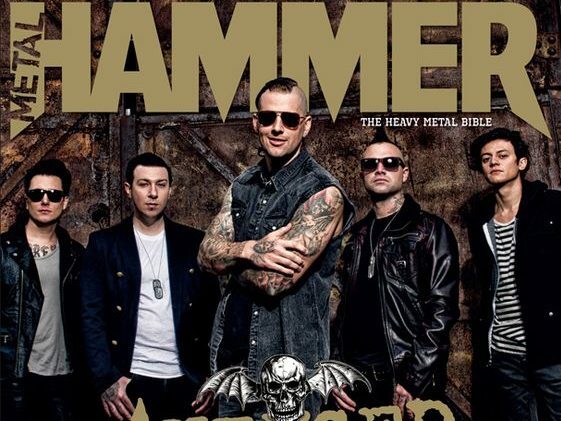 This would mean that loudersound.com would become the main portal for the Metal Hammer publication. To really understand Metal Hammer magazine, you must first understand the history behind it. To do that, you must go back to 1983. This is when Metal Hammer magazine was first conceived by a London based writer, who went by the name Wilfred F. Rimensberger. During that time, Rimensberger originally was trying to get a German version of Metal Hammer published. Unfortunately for him, he was unable to find anybody who wanted to run with his magazine idea. 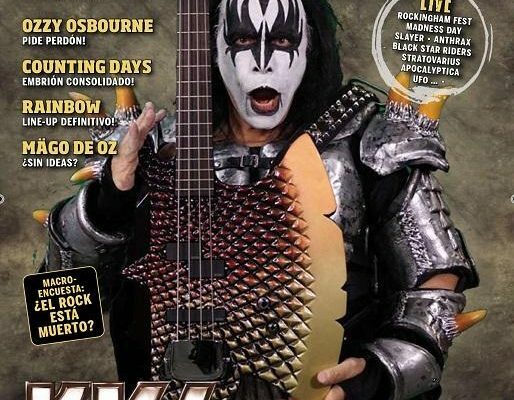 Luckily, Rimensberger stuck with his original dream of having a heavy metal magazine published in multiple countries, as he was eventually able to launch an English version of his magazine concept. In fact, his magazine would actually go on to grow into the first multilingual concept that would send a magazine to over 1 million monthly subscribers. It would eventually go on to be published in over 11 different languages around the entire globe. For a while, it would even go to outsell the magazine Kerrangl. Metalhammer would become so popular that it would routinely be published in several different languages, some of which included Japanese, Israel, Spanish, Italian, Serbian, French, and Hungarian, just to name a few. If that weren’t enough, Metalhammer also grew so big that it became the first youth publication in the West Soviet Union. The Metalhammer would eventually grow so big, that it would eventually become multiple radio shows, tours, awards, recordings and even festivals. And during the 1980s, the Metalhammer platform would become one of the most popular ones of the entire genre. The original publication producer, Rimensberger, owned the rights, name and everything else about the magazine until he sold it to Wigginghaust. He would, however, remain working on the publication in the background until he decided he didn’t want to be part of it anymore in the early nineties. Rimensberger would also be a huge promoter of Metalhammer, promoting the first ever Metalhammer Lorelei Festival. This festival would eventually showcase acts such as Motorhead, Venom and even Metallica. In fact, it was actually Rimensberger who would be the one that recommended Metallica to Peter mensch of AC/DC, that they should manage Metallica. Not bad considering that Metallica would eventually become one of the greatest heavy metal banks of all time. Eventually, Harry Doherty, who was a part of Melody Maker, would become the editor of the English version of Metal Hammer. He would eventually go on to produce the Metal Hammer TV show, which would be aired on satellite television. But don’t worry, as Doherty knew exactly what he was doing. In fact, prior to taking over Metal Hammer, he was actually in charge of the video magazine known as Hard’n’Heavy. Now that thee were multiple producers with multiple magazines, things would start to get a little more complicated. In fact, Doherty would actually go on to launch a magazine that would be in direct competition with his original creation, Hard’n’Heavy. This is the exact reason that Doherty would end up leaving the company after a huge dispute with Wigginghaus. This would mean that Doherty’s first personal assistant, who was named Sue Powell, would end up managing all of he London-based offices that were under the ownership of Rimensberger. With the history of Metal Hammer Magazine, there have been many ups and downs. While the downs are low, the ups are even higher. Metal Hammer Magazine has been able to grow into something that most genres of music are never going to know. For example, there are now the Metal Hammer Golden Gods Awards. This was established back in 2003 and is an annual celebration that takes place every year in the United Kingdom. Also in the United Kingdom, MetalHammer.com.uk, is one of the more popular websites that has its own iPhone app, which features both exclusive and original news, interviews and reviews. On top of the apps and the awards show, there is also the Metal Hammer Podcast. Originally created by Terry Bezer and James Gill, this podcast shares all of the headlines, news, reviews of the latest talent, as well as general rants that are happening in the metal scene. While it doesn’t matter what type of music you enjoy listening to, there is no doubting that Metal Hammer Magazine is one of the best in the heavy metal scene. With an extremely colorful past, this is one magazine that doesn’t seem to be going anywhere too fast. Do yourself a favor and register for a subscription as soon as you can.